My is 220d se-l multimedia with twin pipes, 18" Ganador 3 piece split rims,Full lexus sr body kit, Sports diff @ Egr bypass. Hi hotwheels, The intercooler on the is 220d is sandwithed between the coolant rad and the ac rad, Let us know how you get on with this mod & the egr bypass. Cheers Rav. Hi, Found this for you if it helps. Rav. Hi hotwheels, The intercooler on the is 220d is sandwithed between the coolant rad and the ac rad, Let us know how you get on with this mod & the egr bypass. Cheers Rav. Hi brendon I just brought a pair of led bulbs from ebay, they have a noticeable blue tinge and look great and are also can bus error free. http://cgi.ebay.co.uk/ws/eBayISAPI.dll?ViewItem&item=270697957822&ssPageName=STRK:MEWNX:IT I have also ordered a pair of 8000k d4s xenon bulbs from u.s.a for my is 220d to give the xenon headlights a blue tinge. http://cgi.ebay.co.uk/ws/eBayISAPI.dll?ViewItem&item=170515149928&ssPageName=STRK:MEWAX:IT regards Rav. Hi m8 never heard of that power box before,Have a look at the chip lindop brothers toyota offer for the lexus T180 engines they are fitted between the common rail and boost pressure sensor. http://www.lindoptoyota.co.uk/index.php?option=com_content&view=article&id=67 ask for john the parts manager. Regards Rav chahal. Hi, You will find it under the black plastic cover on the the right side of the boot floor. Regards, Rav. On your front interior light you have two buttons on/off and door, try pushing the button marked door. My 06 220d se-l has illuminated kick plates. Hi, you need to get your air mass flow sensor cleaned, You can check how to do that on YouTube by typeing in (how to clean air mass flow sensor). Rav. i have done this to my car and it is very simple,all you need is a cotton bud and meths and a screw driver.i must add that i hav'nt had any running problems,it's just something that i keep an eye on. Hi, I would not recommend touching the wires of the sensor as they are very delicate and could easily get damaged, Just spray some electronic contact cleaner on the wires and allow to air dry for half an hour. You can get electronic contact spray cleaner from maplins. Rav. Hi, you need to get your air mass flow sensor cleaned, You can check how to do that on YouTube by typeing in (how to clean air mass flow sensor). copy and paste this link in your browser or google symptoms of bad air mass flow sensor. Rav. Hi, I had the same sound from my speedo counter. Dealer advised me that they could not repair the counter but had to fit a new one, But doing this will reset the mileage to zero miles. but then u could get it reprogramded! 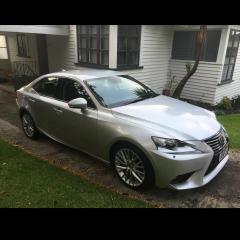 I don't think the dealer would reprogramme the dials, I was told that the change would be logged in my service book and with the lexus data base. my clocks were changed @ 17,500 miles and new clocks have now done 4,200 miles, So i just add 17,500 miles to get correct mileage. Hi, I had the same sound from my speedo counter. Dealer advised me that they could not repair the counter but had to fit a new one, But doing this will reset the mileage to zero miles.